There are a number of reasons why you might end up spending seven (or another number) of hours in an airport. It could be that your flight is delayed, or like us, your flights were so cheap that you have to change a few times on your way home. In our instance, the seven hours were at Brazil's Sao Paolo Airport and the prospect of heading into such a vast city just to try and get back within the time frame was too much to contemplate. So we decided to pass them in the terminal building, and actually, they went pretty quickly. When I was growing up and we travelled a lot as a family, my dad always carried with him an old tobacco tin of his grandfather's, which contained all the necessary items required to keep a small group of people entertained when travelling. They fitted in perfectly, with two pencil sharpeners to fill a gap. I remember the intent look on a boy's face as my dad sharpened a pencil for him with one of these items on a trip to Malawi. Knowing that we would have such a long time to wait I decided to create my own version of this tin before leaving home. I packed a set of cards, six dice and instead of the pencil sharpeners, two rubber pigs. Along with these materials, I also had to hand the instructions for a number of games to play with them (thanks to Pops for providing these). It's amazing how two small pigs can keep two grown women entertained for such a long time. 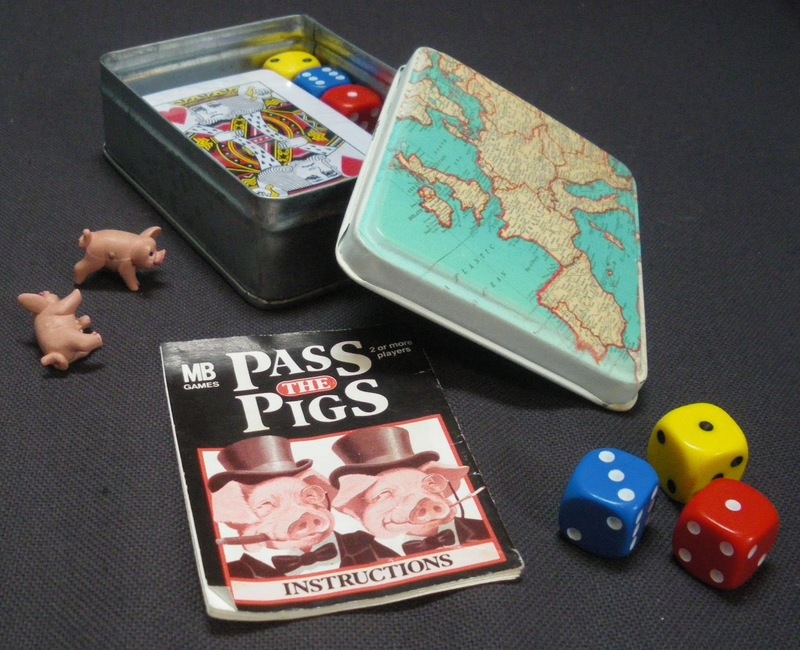 Any travellers who have not encountered Pass the Pigs should look into this quirky and easily transportable game. The dice also got used, with classics Yahtzee and Farkle going down well. For anyone not familiar with these games, it is worth learning the rules and packing a set of dice on your next trip. You never know when you might get stuck at an airport or find yourself with only a few Uruguayan pesos left on a wet evening in Colonia. Airports are fascinating places, with plenty of people milling around and trying to achieve various outcomes. After spending 11 days in several countries on our trip, we enjoyed working out where the different people were from. There were far fewer mate cups and flasks, as we were no longer in Argentina or Uruguay, but the thick soles of some of the women were a give-away that were from one of these countries, as we had spotted them throughout our trip. Seven hours is a long time to go without food, but this can be further complicated by not having any money to purchase anything. This can be particularly tricky if you are in an airport in a country different to the one you have been visiting. We had been in Brazil for half a day on this trip, but had spent all of our reales at Iguazu, so needed to find an alternative source. One solution was to exchange some of the Argentinian pesos we had left, but the cambio at the airport wanting to charge $17 to do this, making it not worth it at all. Despite the fact there were ATMs displaying the names of our banks on them, our debit cards did not grant us access to any cash. In the end we chanced it and ordered some food and found we could pay by card. If this hadn't worked, we were going to be a bit stuck and undoubtedly, hungry. A game using SIX dice for any number of players. The aim is to reach a target score (say 5,000 points). The key to the game is to decide when to bank your score, as if you do not score you lose all your score for that turn. Three 2s = 200, three 3s = 300, three 4s = 400, three 5s = 500, three 6s = 600, BUT three 1s = 1,000 AND 1, 2, 3, 4, 5, 6 = 2,000. All these scores have to be thrown with one throw of the dice. Throw all the dice, but you must keep at least one scoring dice (a1, a 5 or 3 of a kind, etc). Keep a mental record of your score, throw the remaining dice (if you wish) and add on the score from this new dice. You must score with each throw or you will forfeit all your points for that round. If you use all six dice, you can throw again and add on to this mental score, but there is always the chance you could lose all your points accrued in that turn if you fail to score. When you decide to stick that score is then written down and used to head for the target score. You can pass any unused dice to the next person – if they choose to use those dice then your score from that round becomes theirs. E.g. if the dice were passed to you and the person passing had just scored 350 and you rolled the dice and rolled a 1 you would then have a score of 450. You do not have to accept the unused dice and may simply start again with all six dice. A game using FIVE dice for any number of players. 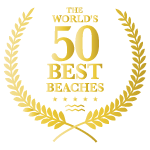 The aim, to obtain the highest score of all the players. There are 13 rounds of play and 13 ways to use the dice for one of the ways of scoring – but you may decide to forfeit one of the ways of scoring if you cannot fulfil a way of scoring. With each throw, you first throw all 5 dice. You may keep some or all of these dice and throw the remaining dice twice more. You then have to decide which of the 13 rounds you are going to score against. With the top half of the scoring sheet (i.e. 3 x 1; 3 x 2; 3 x 3; 3 x 4; 3 x 5; 3 x 6) if you exceed or reach the target score of 63 you get an additional bonus of 35. Indeed. Often the cheapest flights involve awkwardly long connections at silly times, where it's simply not worth leaving the airport and going into the local city - or where you *can't* go into the city for visa/immigration reasons. I usually travel alone, and I'm not the sort of person to go up to someone and say "hi, are you bored too, let's play a game" ... ;) so my ways of patiently waiting in an airport are quite solitary. The problem I find with these stopovers is very often for me they're in third countries, so if I'm just 'transferring', it's not worth the (financial) hassle to get some money to buy stuff. Many duty-free shops seem to also accept US$ but it's rare I have those with me either. If I know I'll have a lot of time spare then I'll make sure I've already brought food with me, and hope hope hope that the airport has water fountains! 'Pass the Pigs' is an awesome game, had it when I was a kid! I have taken it on a couple of trips in the past, just in case I've met people in backpacker hostels who'd be interested, but never used it - we normally end up just chatting and drinking! Thanks so much for your comment Ian. Of course, travelling alone throws up other issues and books are always a great option. The third country problem is quite a pain, as access to funds can be a bit of a nightmare, depending where you are in the world. I've only participated in one Twitter travel chat, but really enjoyed it, so want to get involved in more. Are there any in particular that you recommend? It seems like a great way to connect with like-minded folks. I once met a group of Dutch guys at a rooftop pool at a hostel in Granada, because they were playing Pass the Pigs on the bottom of the pool! I was travelling on my own and made a comment. After they said: "You know the pigs?" we ended up hanging out as a group for a few days. A great ice breaker. I've come across people playing cards - ended up playing weird card games all evening in Uzbekistan with a German, an American, and a Bulgarian (I think). Some places I find better than others to meet people; the environment of the hostel helps, but so too I think does the place it's in - backpackers in Central Asia are 'different' somehow to backpackers in Australia, less inclined to 'party' but possibly more 'accepting' of who you are. Hard to explain. Thanks again Ian for your comment. I'll certainly check out some of those travel chats. The reception you get from travellers all over the world can differ, but that's part of the unknown that you leap into when travelling.